The House Appropriations Committee on Thursday tentatively approved $105 million in funding for several DPS troopers, but not before some border lawmakers on the panel questioned how the DPS would prove the money is being spent wisely. 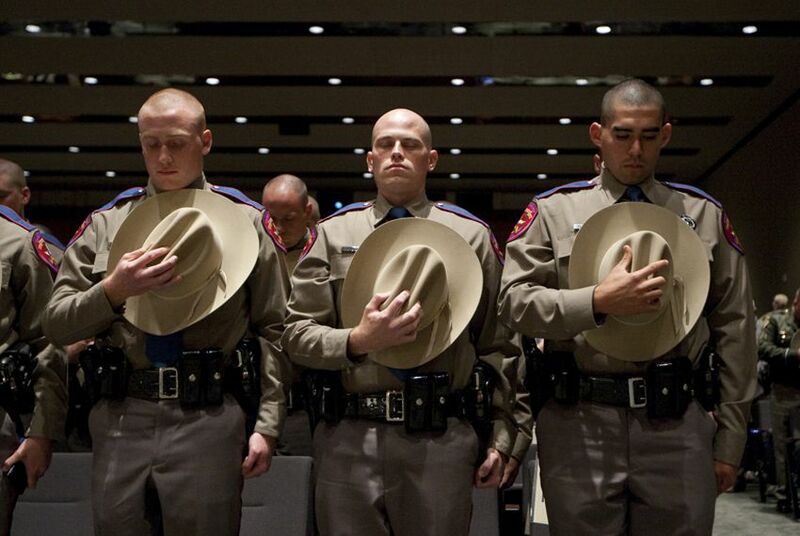 The Texas Department of Public Safety moved a a step closer to getting funding for hundreds of additional troopers Thursday after the House Appropriations Committee tentatively approved a $105 million agency request. The money would go toward training 300 new officers and support staff. About 250 of those troopers would be stationed on the border, and lawmakers said the goal is to have them in place by the end of the 2016-17 biennium. A final state budget must still be approved by both chambers. Since last summer, the DPS has had an increased presence on the Texas-Mexico border in response to the surge of unaccompanied minors and family units, mainly from Central America, who breached the border. The Texas National Guard has also deployed soldiers to the border. The funding request is a sliver of the DPS’s estimated $2.2 billion proposed baseline budget, but it was still met with some resistance from border lawmakers who questioned how and where the officers would be deployed. State Rep. John Otto, R-Dayton, the committee chairman, said that decision would ultimately be up to DPS. He added that the end goal is to withdraw the Texas National Guard, which has had hundreds of troops in the Rio Grande Valley since last summer. Removing the troops is something most border lawmakers have been lobbying for as they have said soldiers on the border harms the area’s image and scares away businesses. Otto reminded the budget-writing committee that lawmakers initially asked for 500 new troopers, which DPS officials said wouldn’t be possible in such a short timeframe. But border Democrats also wanted to know what mechanisms, if any, will be offered to measure the success of the surge. The concern stems from testimony last month by DPS Director Steve McCraw. He told the Senate Finance Committee that the surge is working but lacks efficiency because troopers have to be rotated in and out of the area, which costs money. State Rep. Sylvester Turner, D-Houston, the Appropriations Committee vice chairman, said the budget request would include a rider that will seek to keep the agency accountable by reporting how the money is being spent on the border. State Rep. Sergio Muñoz, D-Palmview, said the entire agency should be placed under scrutiny. Lawmakers also want more answers on how the deployment of hundreds of border cameras is working. McCraw testified last month that the department’s goal is to transition from “boots on the ground” to a combination of officers and technology. But state Rep. Helen Giddings, D-DeSoto, said the agency hasn’t provided enough guidance on that.